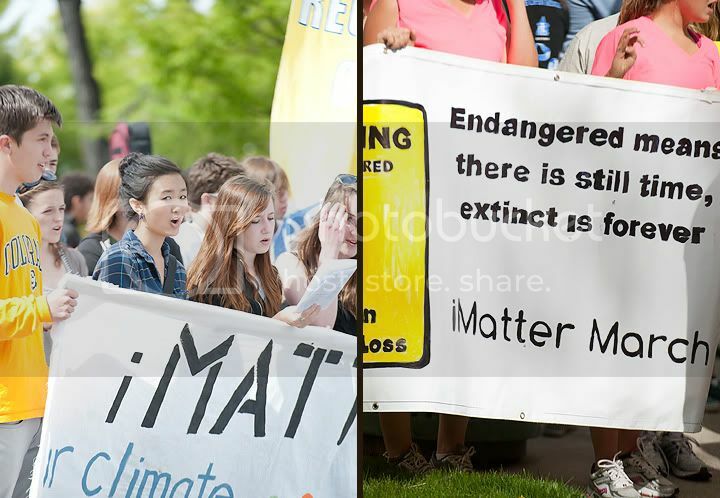 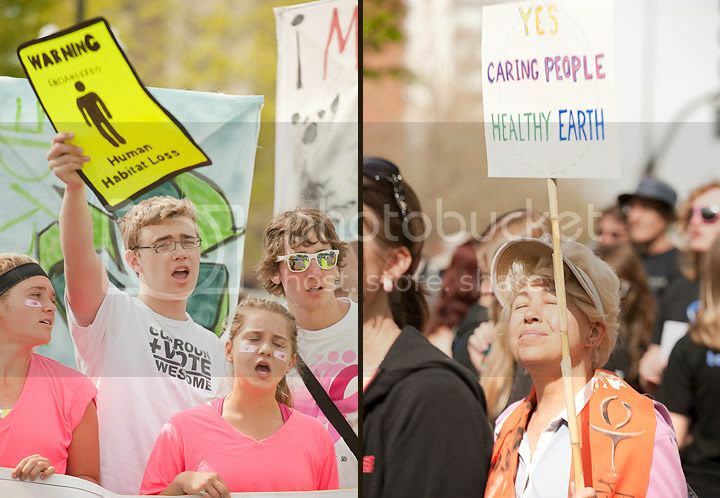 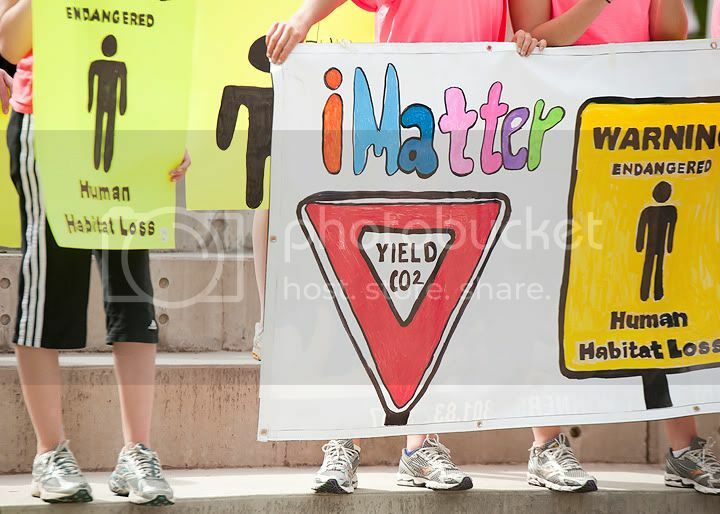 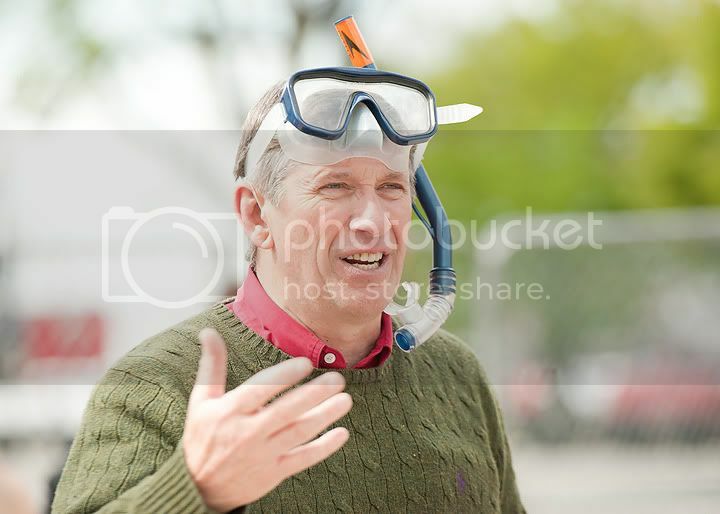 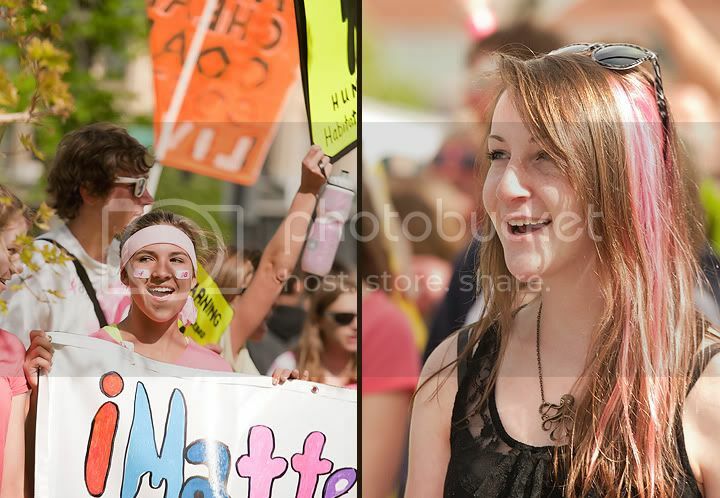 I had the chance to photograph the iMatter March downtown Salt Lake on Saturday, May 7. 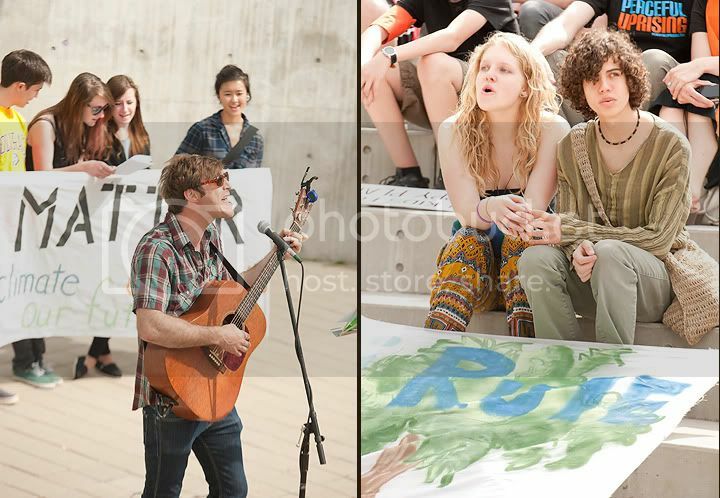 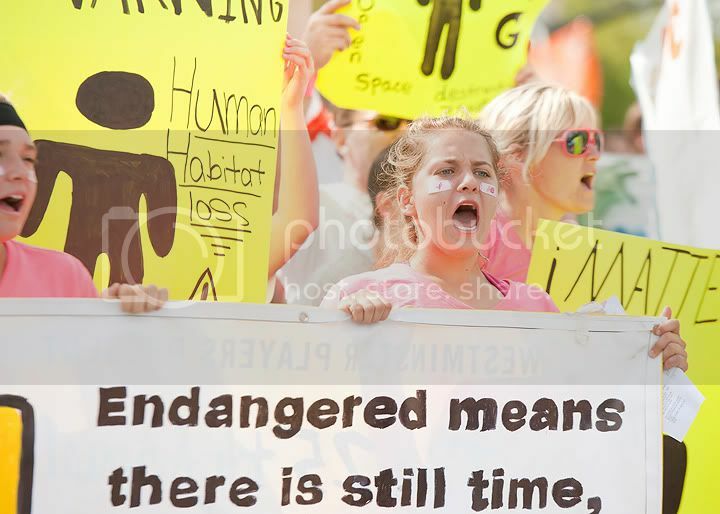 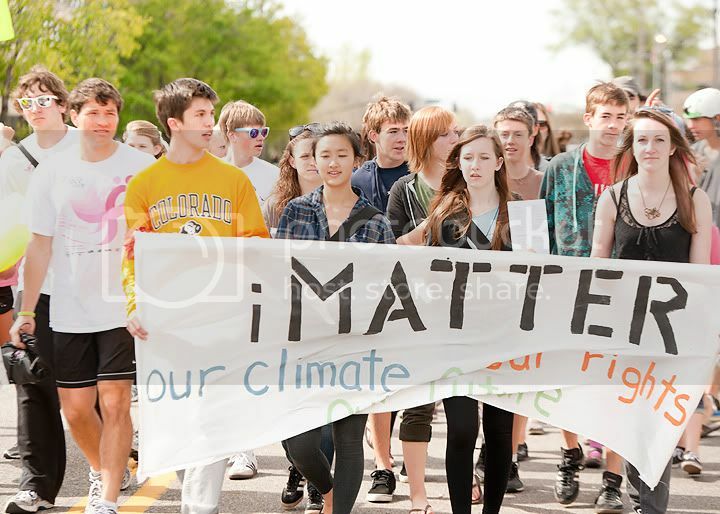 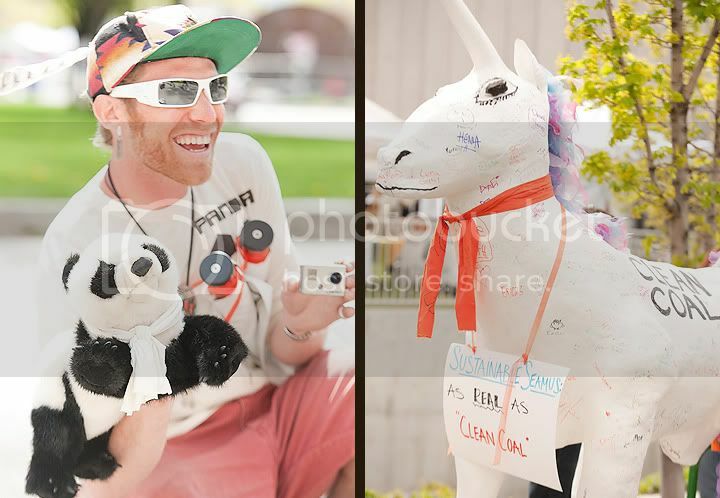 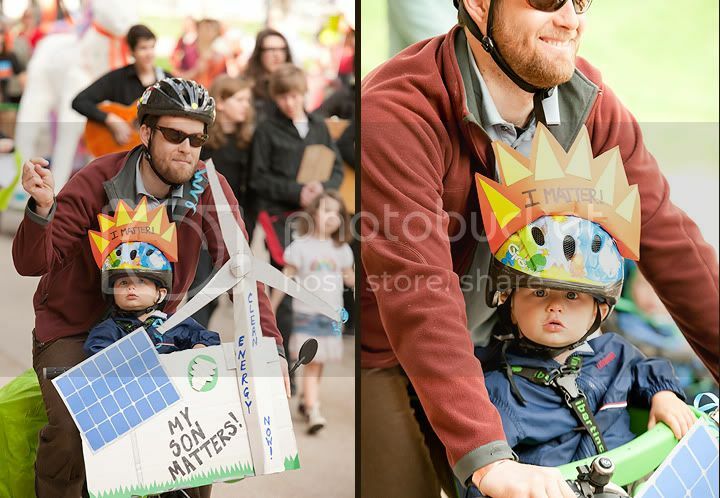 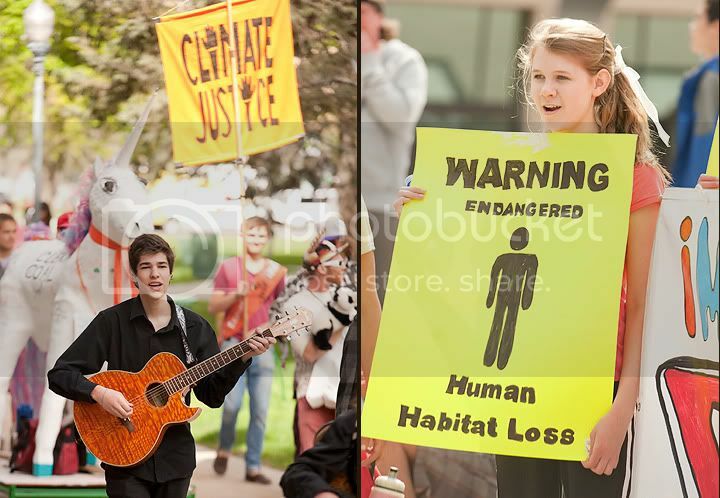 A group of Utahns - mainly youth - marched from the Federal Building to the Live Green Festival at Library Square in order to raise awareness about global climate change. 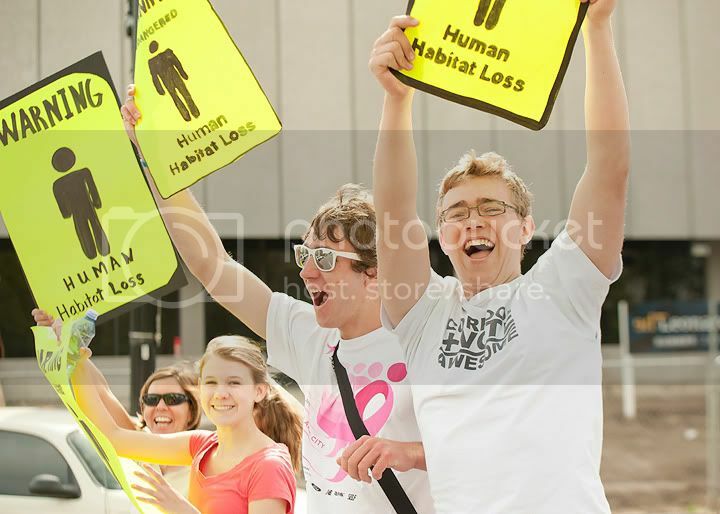 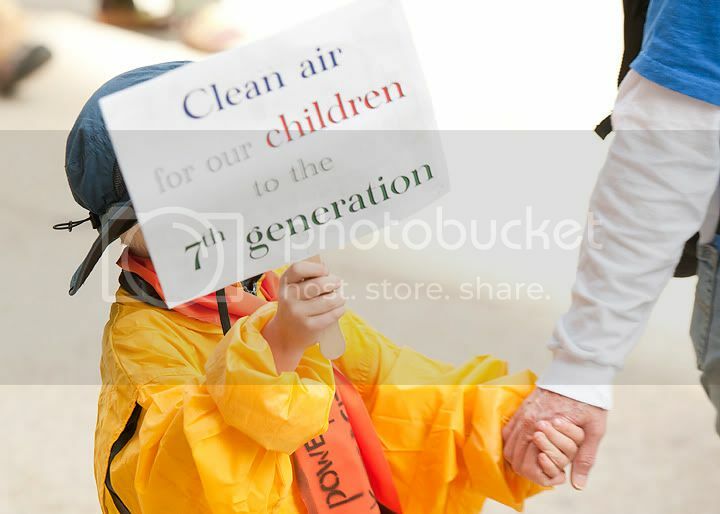 They waved signs, sang songs, and chanted to show their commitment to the cause. 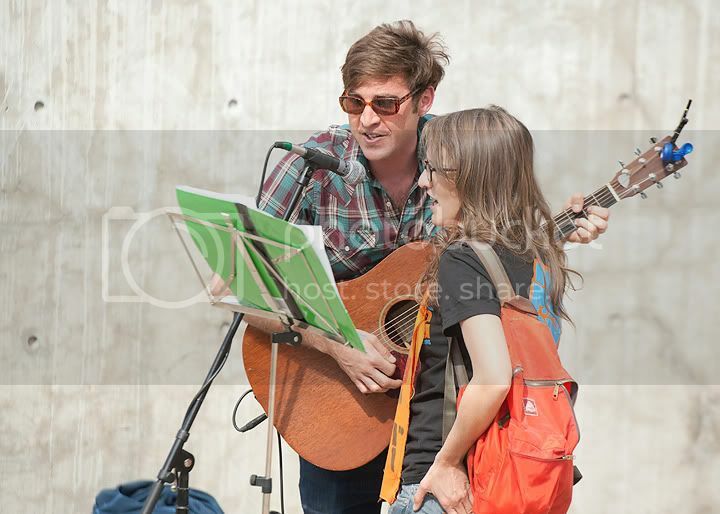 When they reached Library Square they also held a sing-along there in the mini-amphitheater. 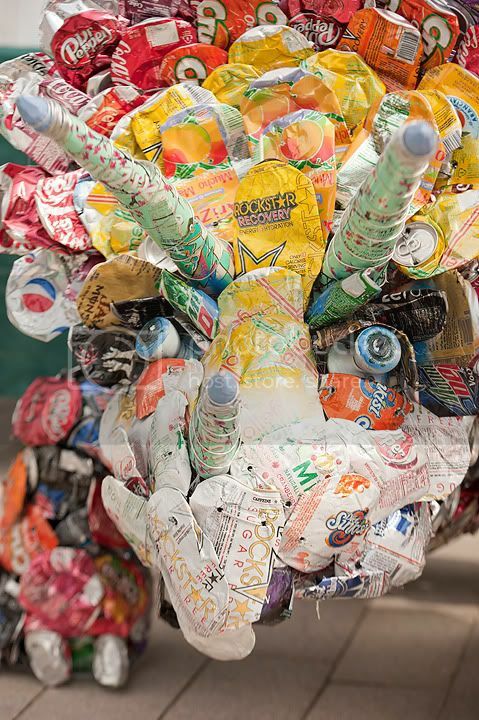 Check out this cool recycled triceratops. 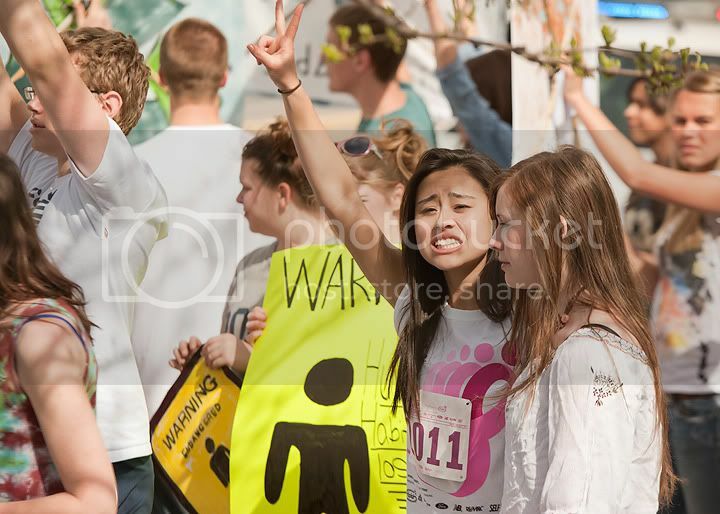 Linnea, you do nice work.